Everybody’s heard about Fender Guitars like the Stratocaster (Hendrix, Clapton, everybody!) and the Telecaster (Keef, Steve Cropper, every country guitarist from the 60s to 80s, Joe Strummer). But how about lesser-known Fender guitars? These are guitars that are only “lesser-known” because they compete with two of the three most iconic guitars ever made. They have a pedigree, and boast famous players that any other make of guitar would die for. Except for a break in the early 80s, the Jazzmaster has been continually in production since 1958. At first Fender tried to market the Jazzmaster as a higher-end Stratocaster aimed at jazz guitarists. But the innovative pickups (wider and flatter) gave the guitar a sound that ended up appealing more to surf rockers like the Ventures and the Surfaris. Later on, it became a driving force of the iconic sound of late 80s and early 90s indie and experimental rock. For example, you can hear the distinctive sound, shriek and howl of a Jazzmaster on albums from Yo La Tengo, My Bloody Valentine, and Dinosaur Jr. The unexpected success of the Jazzmaster among surf rockers led Leo Fender to design a guitar specifically for this scene, the Jaguar. It looks a lot like the Jazzmaster, with a similar rounded and tilted forward design. It was also intended to be up market from the Strat and Tele. Fender discontinued the Jaguar in 1975, and it went from being a premium instrument to a guitar you could get used for cheap. This contributed to its post-punk era resurgence with players like Tom Verlaine and Johnny Marr. Jaguars were also a big part of 90’s grunge and alternative, famously with Black Francis (of the Pixies) and Kurt Cobain. 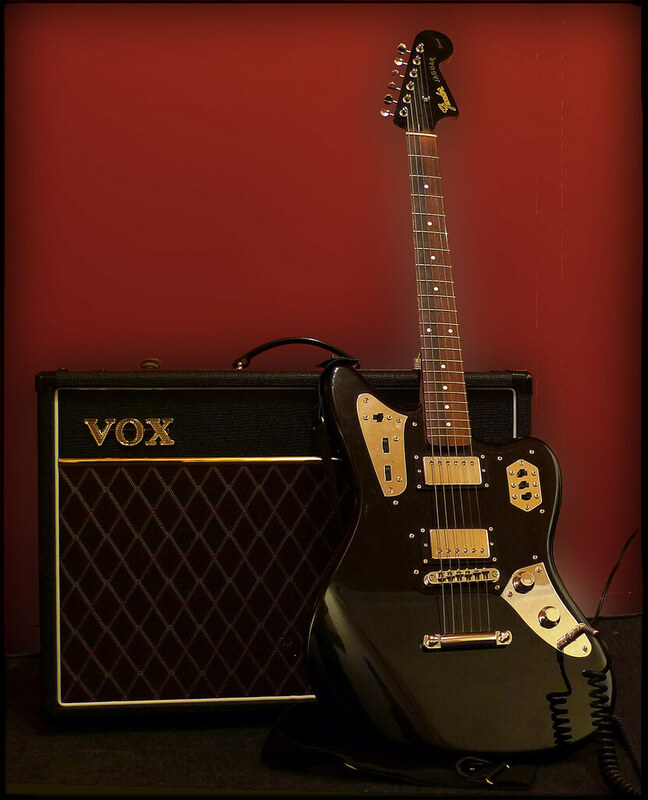 Fender reissued the Jaguar in 1999. Unlike the Jazzmaster and the Jaguar, the Mustang was an inexpensive “student” model with a shorter scale (22.5” vs. the standard 24”). It debuted in 1964, immediately finding favor with surf rockers. Fender produced the Mustang until 1982, when it started to transition its low-priced models to the Squier line. Not surprisingly, a less expensive Fender also found favor with punkers and indie rockers with limited resources. Many of the same musicians who made the Jazzmaster and Jaguar famous in the 80s and 90s (such as Sonic Youth) also played Mustangs. Fender reissued the Mustang in 1990. 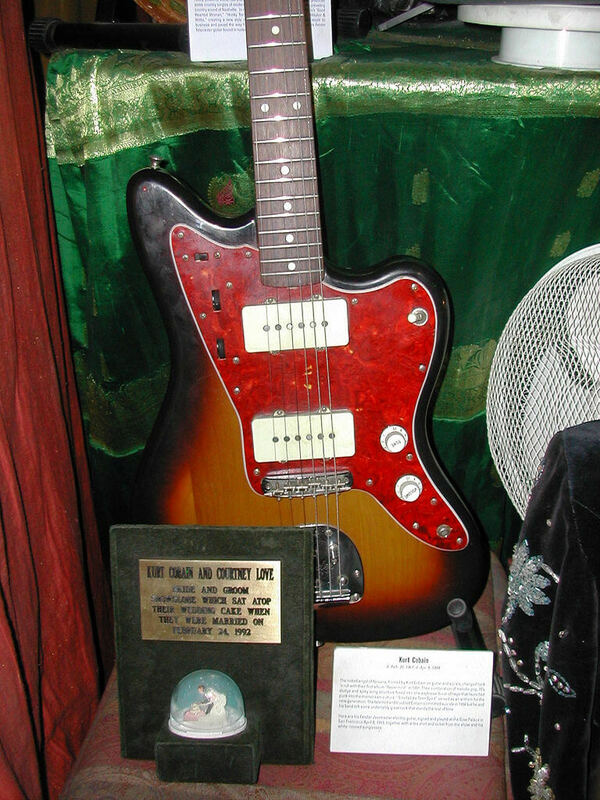 The Jag-Stang is an oddity: Nirvana’s Kurt Cobain took pieces from a Mustang and a Jaguar and added a humbucker as the tail pickup. He played his own concoction, and later suggested it to Fender, who made two prototypes for him, one of which he played a few times on the 1994 In Utero tour. Since then, a version of this instrument has been produced off and on by Fender in the mid-90s and early 2000s. It is not currently available new, but they can be found used. Did do playing any of these? Or was there one I missed (i don’t think so but just asking… ya never know)? Can I Interview You Quick? Enter your email below because I have a couple guitar related questions for you. Guest Post: Joe Cannon who plays in bands around Milwaukee, Wisconsin. Here’s one of them now.